Originally published May 22, 2010. Presidents Day in February, Memorial Day in May, Independence Day in July and Veterans Day in November are four American holidays paying unique tribute to democracy, freedom and liberty. These are all national holidays, and well they should be. A uniquely New England regional holiday is celebrated each year on the third Monday in April. This holiday is Patriots Day and it commemorates the April 19, 1775 beginning of the Revolutionary War when American Minute Men and British troops skirmished at Lexington and Concord. Perhaps we here in the Mohawk Valley have similar reasons to celebrate our local ancestors’ critical contributions to America’s success in our War for Independence. Anyone who has attended Patriots Day activities in Boston can attest to the emotions that are raised. The viewing of the somber bagpipe-led procession as it snakes its way through the streets of Boston on its route to pay proper tribute at the graves of Revolutionary War heroes with rifle salutes is indeed a moving experience. Patriots Day also includes a number of reenactments at key Boston Revolutionary War landmark sites along its historic red line. The running of the Boston Marathon and the Red Sox home opener add to the celebratory mood. Our local Revolutionary War era patriots may have lacked the formal education and national stage that produced the oratorical eloquence of New England’s John Adams and Pennsylvania’s Thomas Paine or of Virginia’s Thomas Jefferson and Patrick Henry. But, heroes and patriots they were, our heroes and patriots. Certainly we can safely liken the courage of the Palatine Committee of Safety in drafting its May 21, 1775 Declaration of Independence-like document to the July 4, 1776 decision by our national Founding Fathers in issuing our more famous Declaration of Independence. These were our local founding fathers and they acted more than a year earlier than our national Founding Fathers! After signing his name to the Declaration of Independence, Benjamin Franklin stated: “We must all hang together, or assuredly we shall all hang separately.” The same fate would surely have awaited the Palatine Committee of Safety signers if America had not succeeded in gaining independence from England. They were all traitors alike in the eyes of English authorities. The whole nation celebrates July 4 as Independence Day, and this is appropriate. A parallel recognition and celebration of the beginning of the spirit of independence in the Mohawk Valley is here being called for. Possible dates for consideration will be discussed near the end of this article. Additional parallels between local and national Revolutionary War era events and people can also be drawn upon for greater regional recognition. Once the British military evacuated Boston in March, 1776 and soon after began the occupation of New York City, the physical threat to New England colonists generally vanished. The physical safety of Mohawk Valley residents was threatened for a far greater length of time than other regions of Colonial America, with the possible exception of New York City itself. The Walter Butler and Joseph Brant led tory and Indian raids in our area went on almost as long as the Revolutionary War itself. Perhaps the most notorious of these actions were the September 17, 1778 German Flatts Raid and the November 11, 1778 Cherry Valley Massacre. Death and destruction were a constant presence in patriot life. Our ancestors lived on the western frontier of the Revolutionary War. The threat to local safety really did not lessen until the October 30, 1781 death of Walter Butler on the banks of the West Canada Creek. Some historians refer to this encounter as the last battle of the Revolutionary War. The June, 1782 tory and Indian raid that destroyed the Little Falls gristmill occurred some eight months after Cornwallis had surrendered British forces to George Washington at Yorktown. Indeed, death and destruction were pervasive in the Mohawk Valley for a long period during our quest for independence. During this extended period, no Mohawk Valley patriot felt safe from tory reprisal. The “Sunshine Patriot” that Thomas Paine condemned in his “The American Crisis,” read to George Washington’s beleaguered and deserting troops at Valley Forge, would seem an appropriate reference. There were few “Sunshine Patriots” remaining in the Mohawk Valley during this time. Incredible courage was exhibited by the individuals and families who took refuge at Fort Herkimer, Fort Dayton and Fort Klock as the war dragged on. Our ancestors were killed, scalped, and generally brutalized for a longer period of time than any other Americans during the Revolution. Perhaps we need to better recognize and celebrate this courage and these contributions. How better to educate ourselves about our collective heritage and to pass this appreciation along to our children than by having more formal annual recognition of these frontier patriots? It does not require a great leap of imagination to compare Adam Helmer’s heroic run to warn the residents of German Flatts of the approach of 450 tories and Indians with Paul Revere’s more famous Midnight Ride warning the residents of Lexington and Concord of the approach of British forces. Helmer saved dozens of Mohawk Valley residents from brutal deaths. As we visit historic cemeteries at Fort Herkimer, General Herkimer Home, Yellow Church Road and elsewhere, the emotional grasp of history is powerful. We need to realize that as we stand before the graves of Nicholas Herkimer and Jacob Klock and before the family plots of the Bellingers and the Snells that we are, in actuality, reaching for the legacies of our local founding fathers. Their names were not Washington, Jefferson or Adams, but greater appreciation and celebration would seem to be in order. Our area already does a great job of promoting much of our local history. Each autumn Fort Herkimer holds its living history weekend and the General Nicholas Herkimer state historic site continues to be one of the finest Revolutionary War sites in the state. Additionally, the Herkimer County Historical Society does a fine job with its ongoing efforts in celebrating our Revolutionary War era heritage. This writing is suggesting more of a focused effort on the annual celebration of a New England-like Patriots Day. 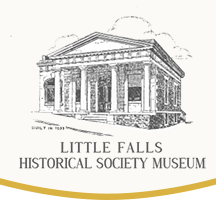 As a member of the Herkimer County Historical Society, the Little Falls Historical Society and the Salisbury Historical Society, this author would urge each of these organizations to petition our county legislature to make this declaration. Local communities and schools could have greater reason for celebration and appreciation for the crucial role that our ancestors played in the outcome of the Revolutionary War. This brings us again to the question of an appropriate date for such an annual observance. The third Monday in April would duplicate the already existing New England holiday, but this date would seem to be too early in the season for our area. A case can be made for the third Saturday in May as a connection to the earlier discussed May 21, 1775 action of the Palatine Committee of Safety with their declaration of independence. This date would seem to compliment the last Monday in May observance of Memorial Day in that each would recognize the service of patriots and veterans. Another date to consider would be the first Saturday in August to forge a connection to the crucial August 6, 1777 Battle of Oriskany. This author would favor the May choice as it could serve to be an early kickoff to the summer season. Many area residents are away on vacation in early August, perhaps making the later date less attractive. Boston in particular and New England in general does a wonderful job of promoting their regional significance in our nation’s founding. Saratoga also effectively promotes the critical Battle of Saratoga as part of its vacation destination appeal. Is it not time for us to rival these ranks by taking greater local pride in our own Revolutionary War legacy? Happy Patriots Day!